Ladakh is a place which is well-defined for its out of the world landscapes and Buddhist influence. 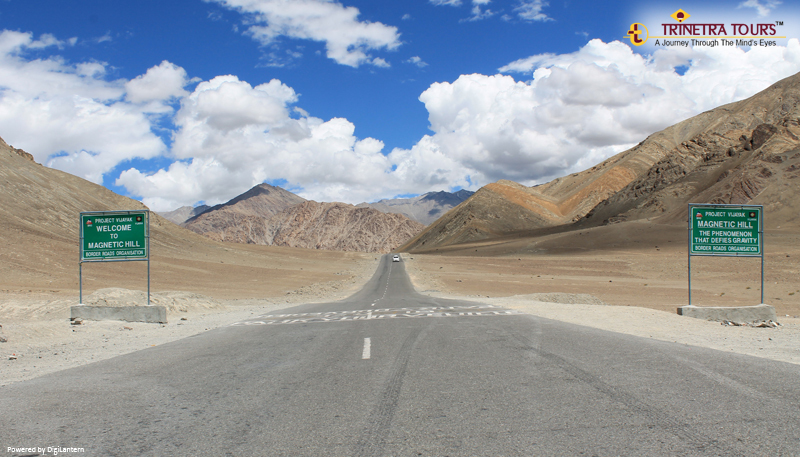 There is something about Ladakh which compels you to embark on an insightful journey. The soaring mountains, pristine lakes, and wide horizons would leave you wanting to stay there forever. This land of high mountain passes happens to be the last frontier of India in the North. A visit to Leh is a life changing experience - a cradle of natural beauty. At sunrise, just step out into the gardens of your hotels or get to the roof and witness the varying colors of the rising Sun on the snow-clad peaks of some of the world's tallest mountain ranges. The Monasteries, the chanting of verses of the monks and the prayer flags all are seen in the foreground of this mind-boggling beauty. It is famous for its monasteries which showcase beautiful architecture. The Shey Monastery is one of the oldest which was built by King Deldan Namgyal. The monastery is adorned with a giant statue of Buddha Shakyamuni and there’s a very large scattering of stupas all across its landscape. Another beautifully architectured monastery is the Thicksey Gompa. 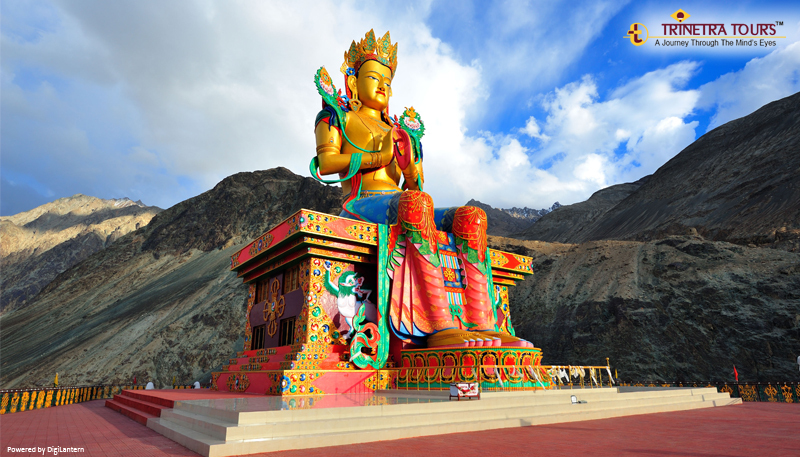 Located at the height of 11800 ft., it is one of the largest monasteries in Leh, Ladakh. Actually, the list of monasteries in Leh Ladakh goes on and on, and each one of them has its own uniqueness and history attached. Besides, you could also visit Uleytokpo, which is located in the heart of Leh Ladakh and has some of the most beautiful resorts and camps. We always encourage our guests to experience the local lifestyle and culture. As someone has rightly said that “Traveling is not sightseeing”, and, we have always believed on that. So, once you reach Leh, you're welcomed into a Ladakhi home as you relish the delightful meal with the residents. Not only the hospitality but, the Ladakhi kitchen is so beautiful and so unique. The kitchen and the walls are beautifully decorated and the entire family sits on cushions on the floor around the wall having food together. And yes, do not forget to savor the famous Ladakhi chai (tea). 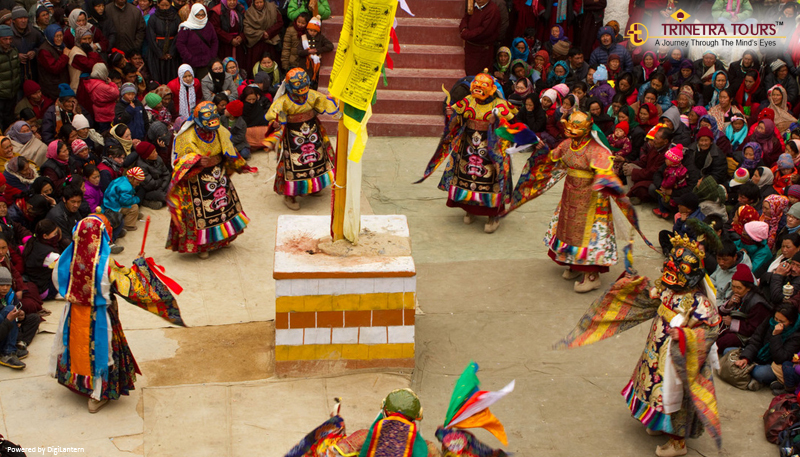 If you are in Ladakh, you shouldn’t miss the festivals celebrated here. You will be awestruck. The proverb ‘there is beauty in simplicity' fits the local people & monks dressed in colorful clothes and a big smile on their face. There is a great civilization and a unique culture thriving for over a 1000 years that makes the whole atmosphere very special. The monasteries are very ornate and the rituals are quite fascinating. Also, there are huge residential sections for the resident monks. It would be fascinating to walk and explore. Oh Yes, talking about exploration, do not miss the centuries old Leh bazaar with its traditional stores pouring onto the narrow maze of roads and trails. The Magnetic Hill is another major tourist attraction in Ladakh. This mysterious hill is also known as the Gravity hill where you can move your vehicle uphill even if it is on neutral, definitely must experience. And if you are a biking enthusiast this is certainly going to be a once in a lifetime memory for you. 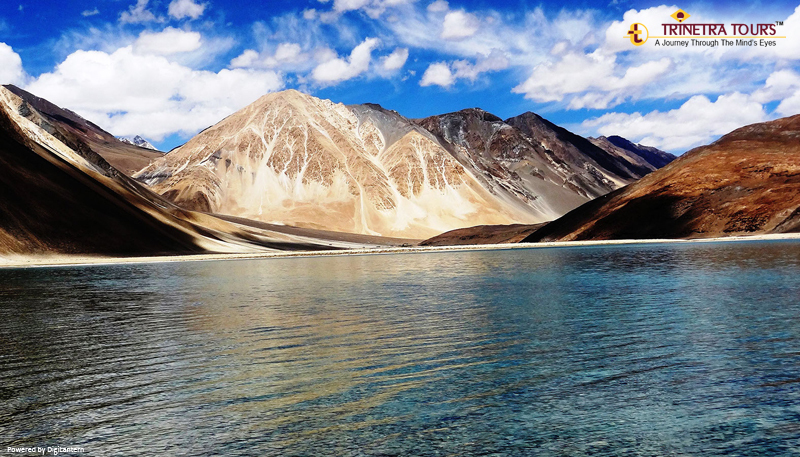 Your travel experience in Ladakh would be incomplete if you skip visiting its surreal lakes. Would you want to miss the sight of the divine blue sky reflecting in the clear water of the lake surrounded by snow covered mountains? Of course, the answer would be a 'no'. 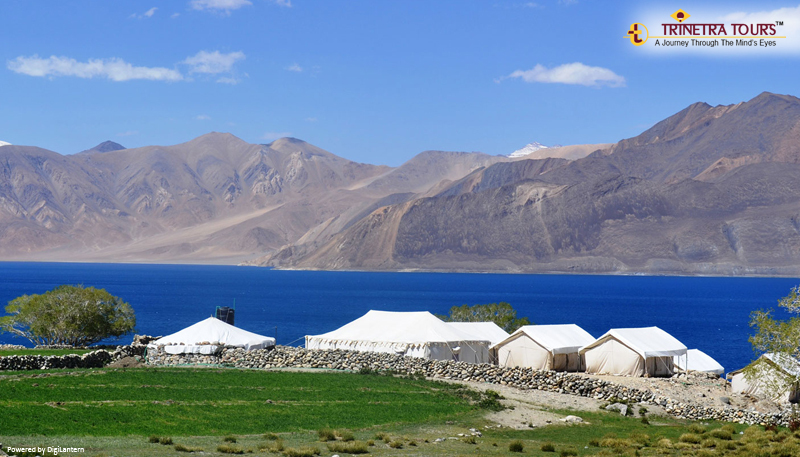 Pangong Lake, Tso Moriri Lake, Tso Kar Lake are some of the most popular ones. Believe us, you'll be jumping in sheer joy! 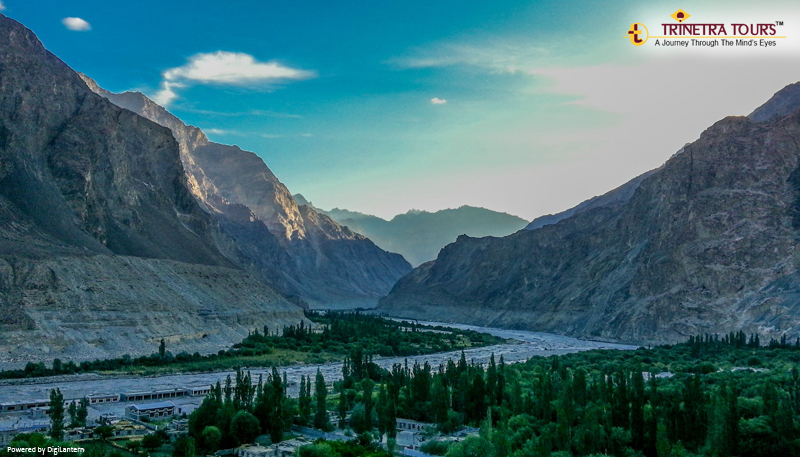 The widespread greenery, desolate mountains alongside the road, ages old monasteries and palaces, the culture and its people is what Nubra Valley is all about. This remote valley would be an enthralling experience for you. You can do camel safari, go trekking and hang around at the small yet delightful cafes in the valley. At Trinetra, we always strive to prepare a customized package for our guests so that they can experience the best of the places within the specific time and budget. You can contact us at +91-11-41586631 or + 91-9810261373 for more information on customized tour packages to Ladakh.